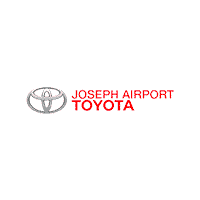 When you need to pick up a new vehicle in the Vandalia, OH, area or you simply want to patch up the one you already own, there’s one name you should keep in mind: Joseph Airport Toyota. We take the pain to provide each and every visitor who walks through our doors with the streamlined and rewarding Toyota sales, financing, parts, and service that they’re due. It’s our goal to ensure that time passed within our Toyota dealership in Vandalia, OH, is time well spent! If there’s one thing we’re confident about, it’s our ability to meet your shopping needs. After all, we cater to you with our large selection, low prices and the ease of doing business here. We have a large, knowledgeable and tenured staff ready to serve who can guide you to the perfect vehicle for your lifestyle, be it new, used, or certified pre-owned. Need to schedule Toyota service? Let our six master diagnostic technicians get to work on your vehicle and you’ll soon have a top-condition car in your driveway once again. What else can you expect when you shop at Joseph Airport Toyota? A lifetime powertrain warranty for pre-owned vehicles up to five model years old — buy your car here and you can service it either here at our dealership or anywhere else you go! A wide variety of brand-new Toyota models priced based on the market and ready to be taken for test-drives. Reconditioned pre-owned vehicles that look and drive like new, plus an expanded used-car building for your comfort. Complimentary treats like filling donuts in the morning and sandwiches in the afternoon, plus fresh, truly delicious coffee. Free Wi-Fi and popcorn within our comfortable waiting lounge. Convenient access to the Allstate insurance office we own as you wait for your vehicle. Complimentary cleaning within our 80-ft full-service car wash with your service appointment.